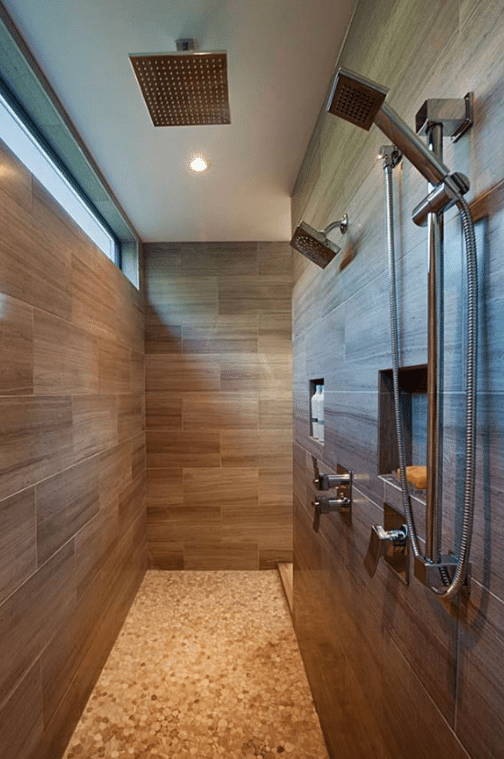 There are various design options for your walk in shower. One of the most common variations comes in the form of a glass enclosure, with the glass helping create a bright and airy feeling. 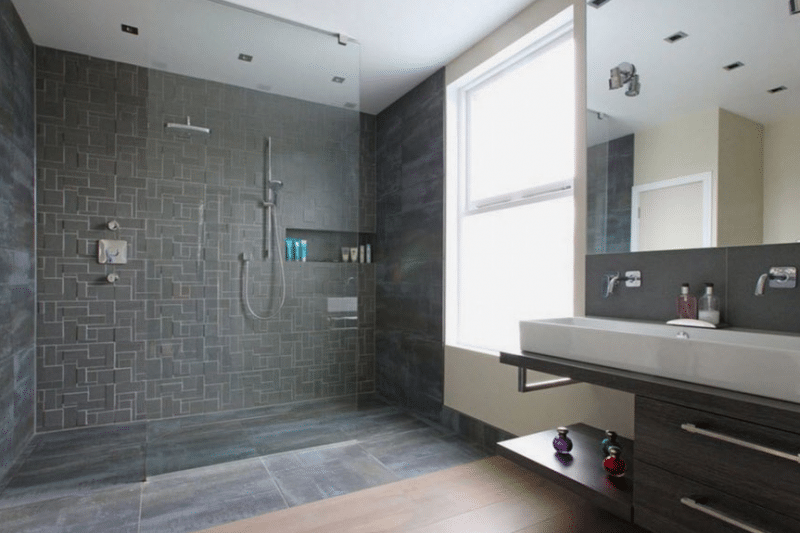 For an even lighter effect, consider adding a window to the shower, if it is possible. If not, try a skylight. If neither of these is possible, an all-glass enclosure would be better because it remains bright enough even with artificial lighting only. 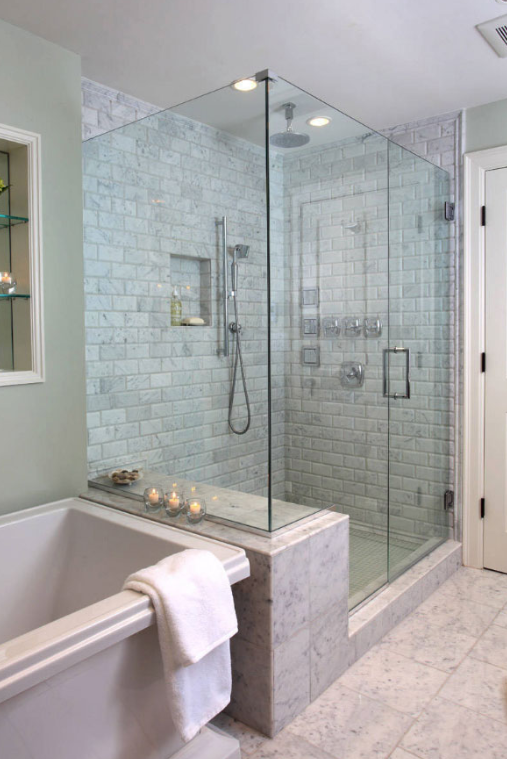 You can also opt for walk in shower designs without doors. 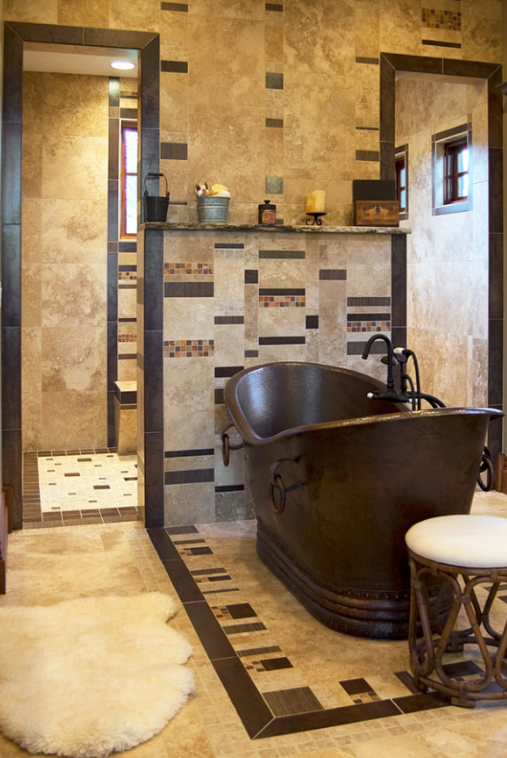 Take a look at our bathroom remodeling ideas, compiled from our previous projects. You could have the other walls solid, glass-only or a solid base with a glass top half. 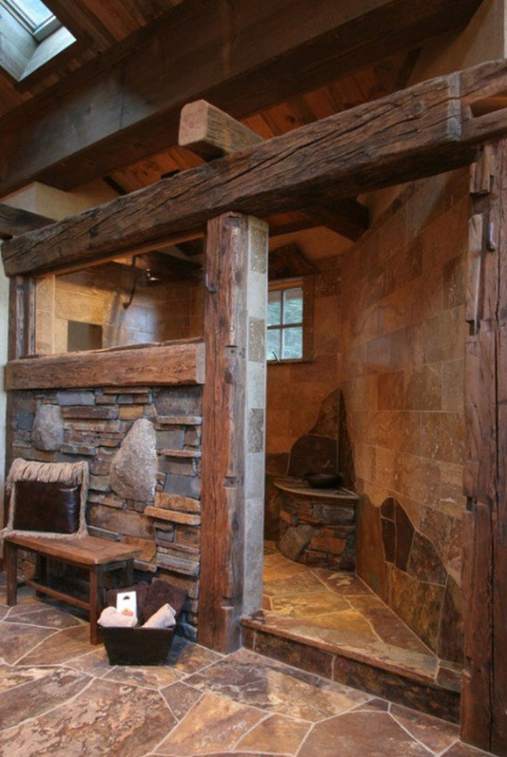 One thing to note about the doorless walk in shower is that it does not allow for much privacy, and this is generally true for all walk in showers. 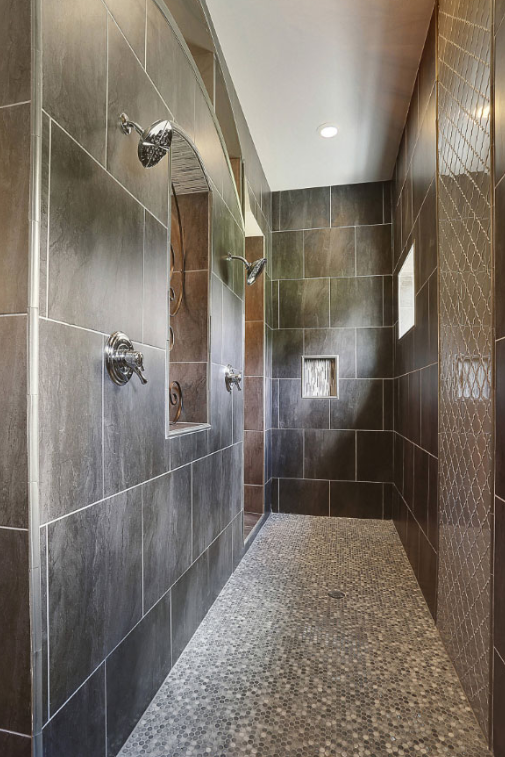 If privacy is not your priority (or is already provided by other means) then a walk in shower is perfect. Each design comes with its own logistical and construction headaches on issues such as drainage. So make sure you consider these when choosing what style to go for. 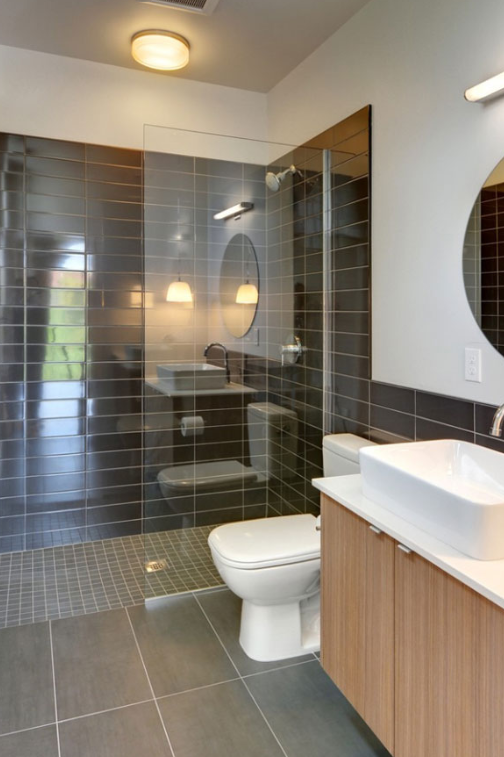 Like any other bathroom, you also have to consider the floor and wall design. 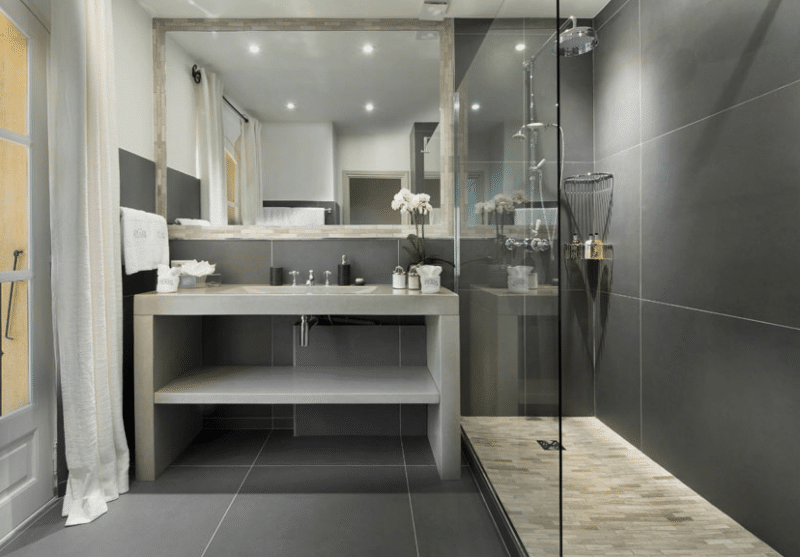 If you plan to have a solid wall as part of your walk in shower, use a neutral tile color that maintains the airiness of the bathroom. 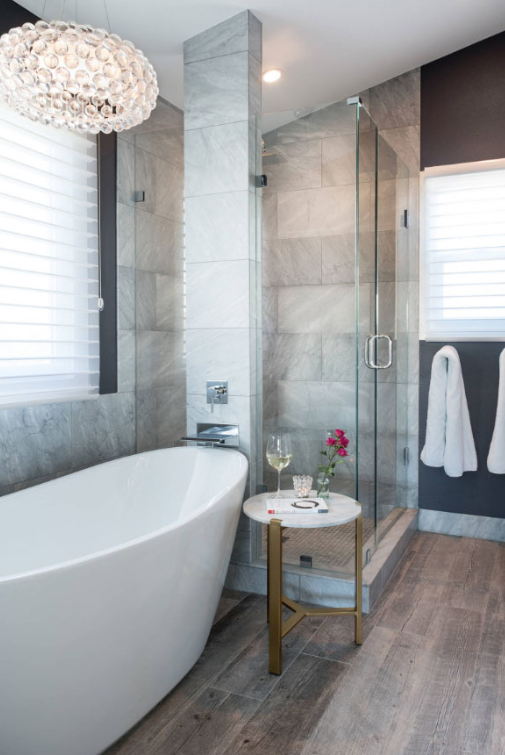 One area where you can create a unique style is the back wall, which you can use as the focus of your walk in shower and bathroom as a whole. 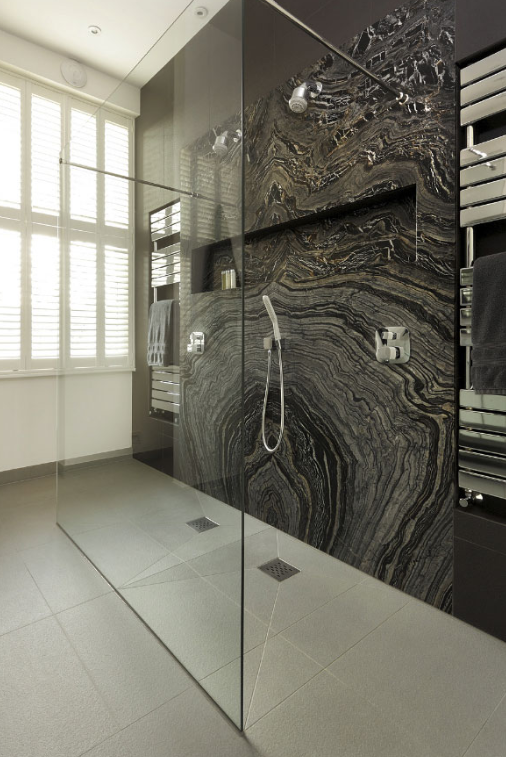 For instance, a nice stone mosaic back wall draws your attention to it immediately you set foot into the shower. 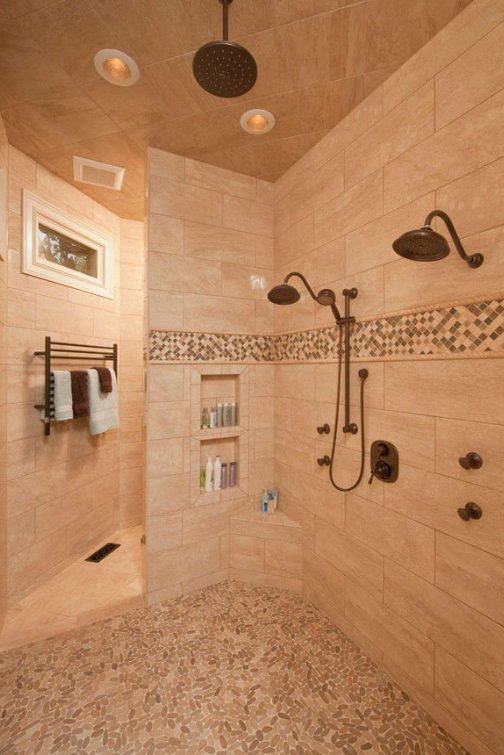 Finally, consider the role accessories play in the overall style and feel of your walk in shower. 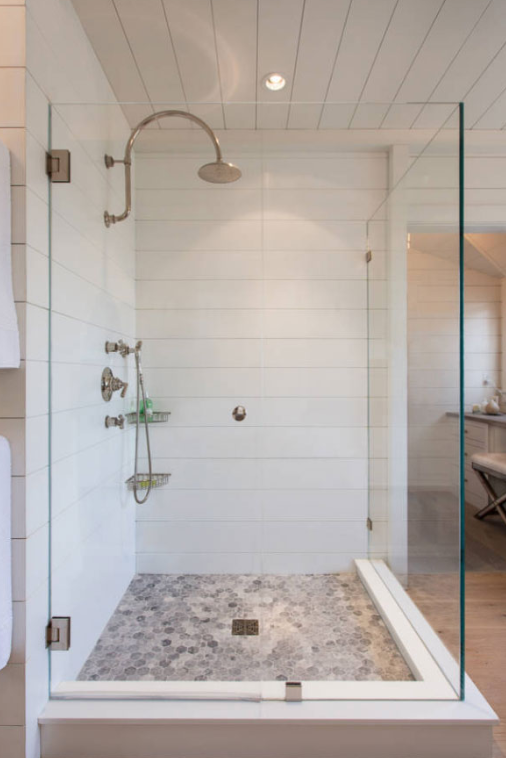 Circular showerheads create a warm traditional feel while square rainfall showerheads give the bathroom a more futuristic feel. 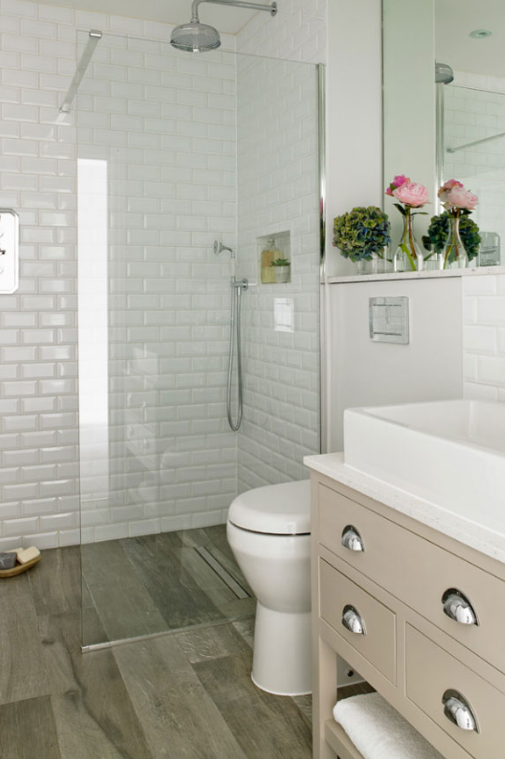 Other accessories to consider include a soap dish, grab bars, a corner seat and a spa-style bench for larger walk in showers. 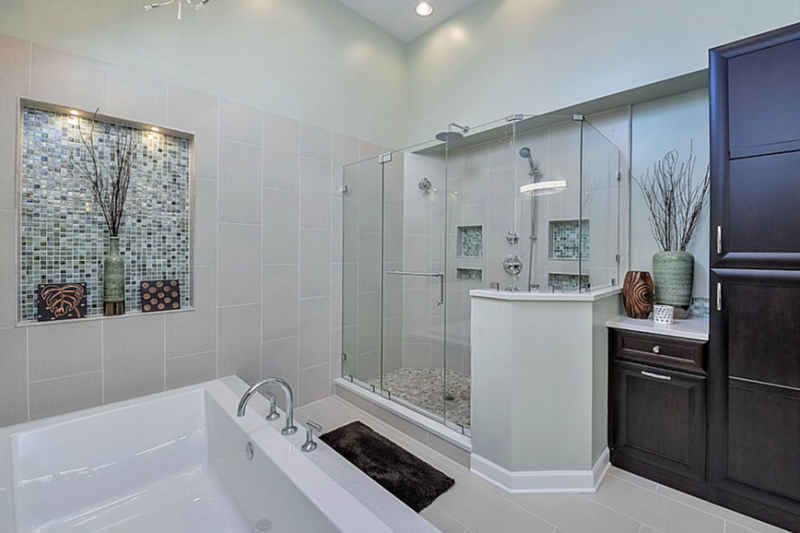 Ready for your own amazing walk in shower? Here are a few design ideas to get you started. 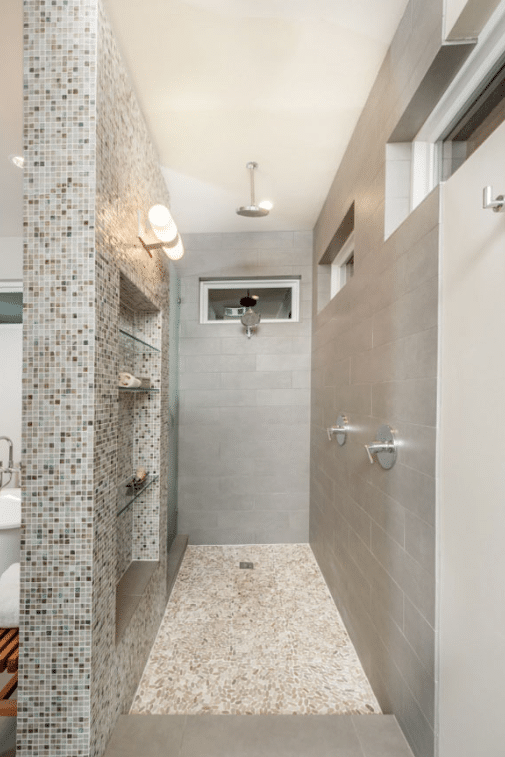 Simple & modern overall design to this shower. 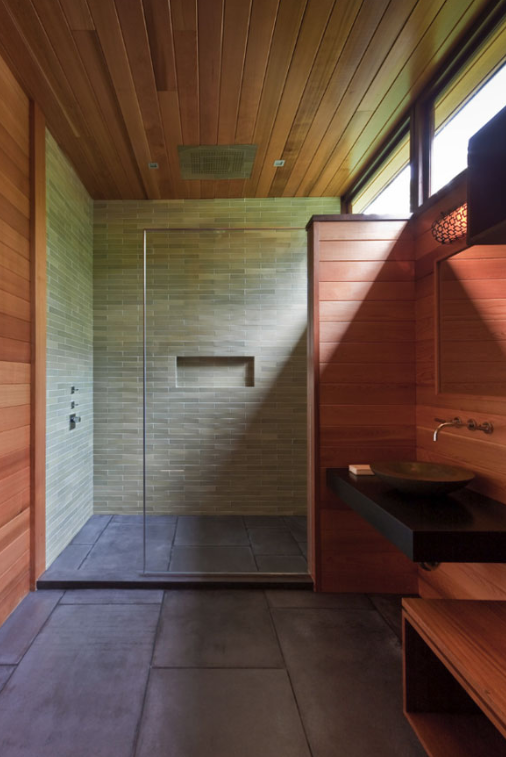 All the wood keeps it warm and the light green tiles in the shower keep it natural and soft. Love the size of the gray tiles on the floor. 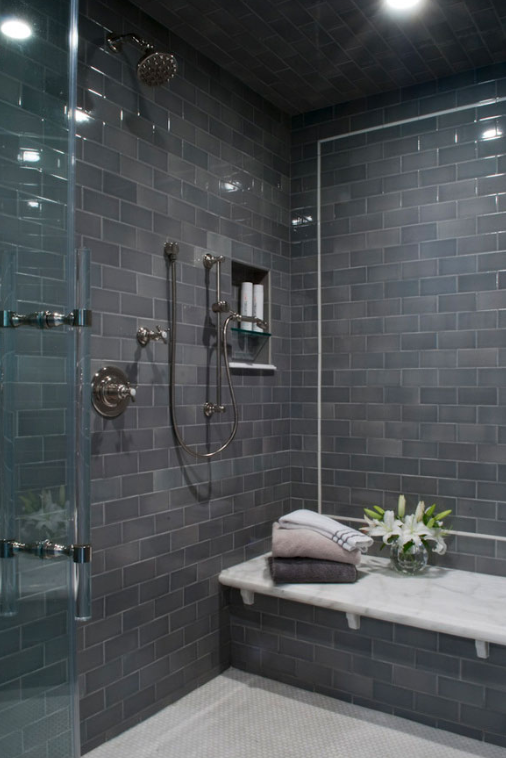 Beautiful gray subway tile. Nice long marble top bench. 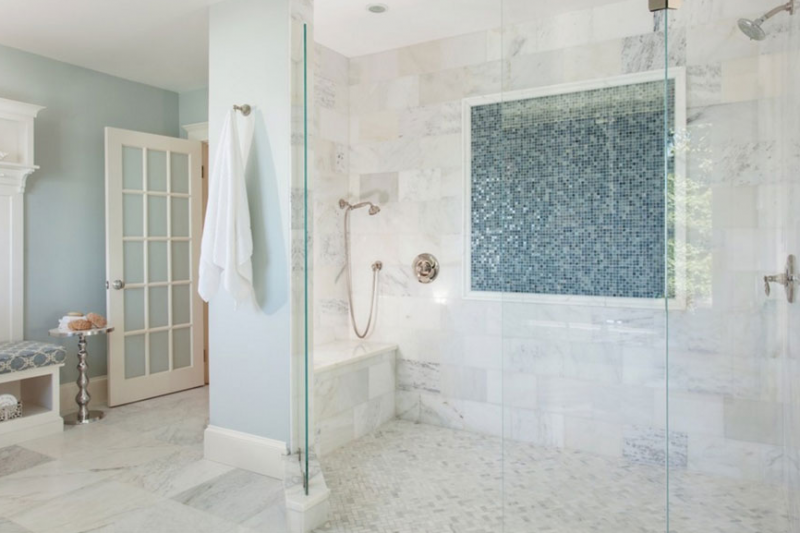 Gorgeous blue/green Walker Zanger tile in this beachside shower. 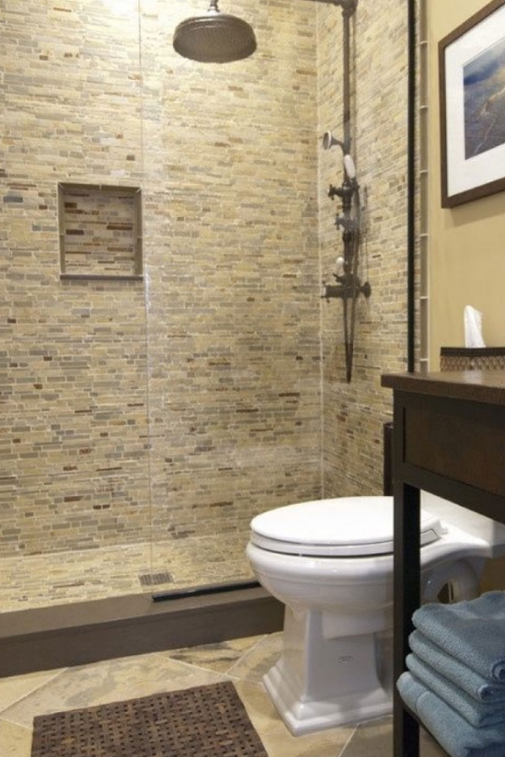 This small stone tile gives this shower a more warm and cozy feeling. Corrugated metal? 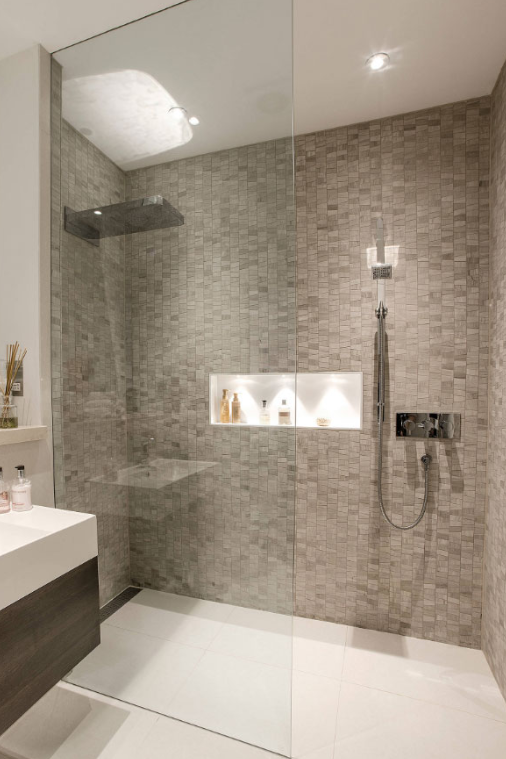 Very different choice of materials for this ultra-modern shower. 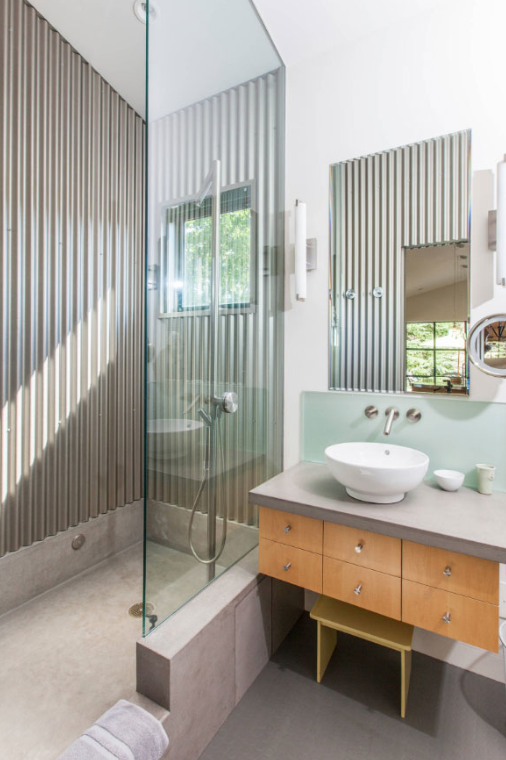 The shower floor is concrete and the shower walls appear to be corrugated metal. 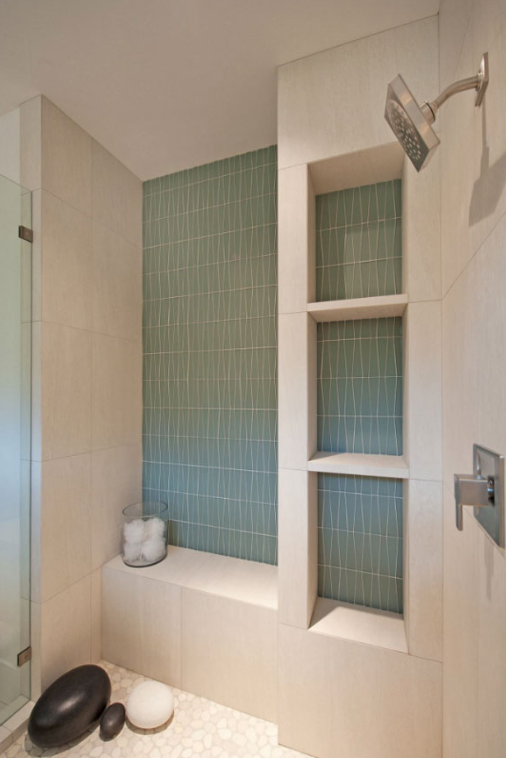 Turquoise tile niches add a great pop of color to this shower.